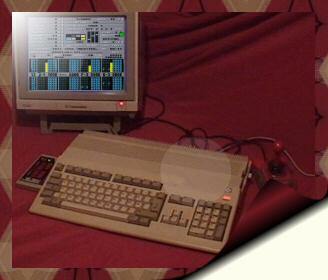 Welcome to Amiga Music Collection. If you're looking for *lots* of tracker tunes, ripped from various Amiga cracktros and other Amiga related music, this is your place to be! Idea of creating these pages came up years ago when I was about to play some game. Before the game started actually loading, a cracktro appeared. I've always liked those tunes that play during those cracktros, and thought it would be cool to hear that music on my PC as well. So I tried to rip it, succeeded in it, listened it for many times and thought: "Oh what the hell, let's try to rip 'em all on the same..". And so it started.. I've tried to organize these tunes as well as possible, so that it would be as easy as possible for you to find some certain tune. These days this site is running quite low when it comes to updates, but I try every now and then add some information. If you have any comments about these pages, or have some info concerning some cracktros or even some new tunes, please feel free to write to my guestbook or send me some email. 2pac, Jörg Hartenberger, Mark Knight, Jerome Legrux, Ofner Michael, Spiros, Wotw, Mika Lamberg, Michael Evervall, dRX^mB, Zigi, Cirdan, Sylvain "Asle" Chipaux, Heikki Orsila, Zondrakon, Alexander Seebacher, Paul Marten, Jurek, Tom Duin, J.B., _SoLO_, E. Leerentveld, Olivier van Liempt & Crystal Warrior. Picture above © 2001 Marius Lauritzen & Trond Pedersen Productions with few changes made by me.. It's been a while since the last update but this site is still alive. As I have way too much free time, I've created Amiga Music Collection 2009 Edition. Completely database managed version of all the crack tunes here! Fast downloads, search, rating & commenting? You got it!